When you are out to buy a pillow, you also need to consider your sleeping positions. Side sleepers often wake up with lots of discomfort. It is because when you sleep on your sides, the distance between the shoulder and the head increases thereby causing more pressure on the shoulder, head and sometimes on the back. Since there are plenty of pillows available in the market, it becomes very confusing to pick the right one for you. But let us help you out here – a new range of memory foam pillows have been introduced in the market which promises to give the best comfort for side sleepers. These pillows ensure a peaceful long night’s sleep without causing any kind of uneasiness or aches. Finding the right pillow can be a daunting task. To make the purchase easy and quick we bring you the review of one of the top gel memory foam pillows available in the market today – ViscoSoft ARCTIC GEL CONTOUR Pillow. 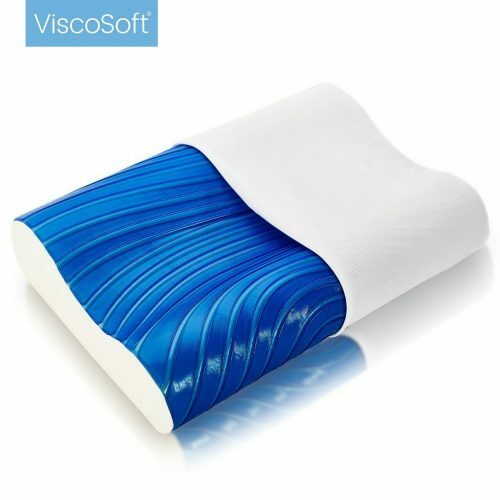 Viscosoft is a quality brand of pillow which promises that you will wake up feeling refreshed without having sore joints and sore muscles, and the use of a contour foam pillow will prevent severe orthopaedic issues in the future. Most doctors suggest using pillows that have an ergonomic design, because such designs offer the optimum support and comfort for the user. 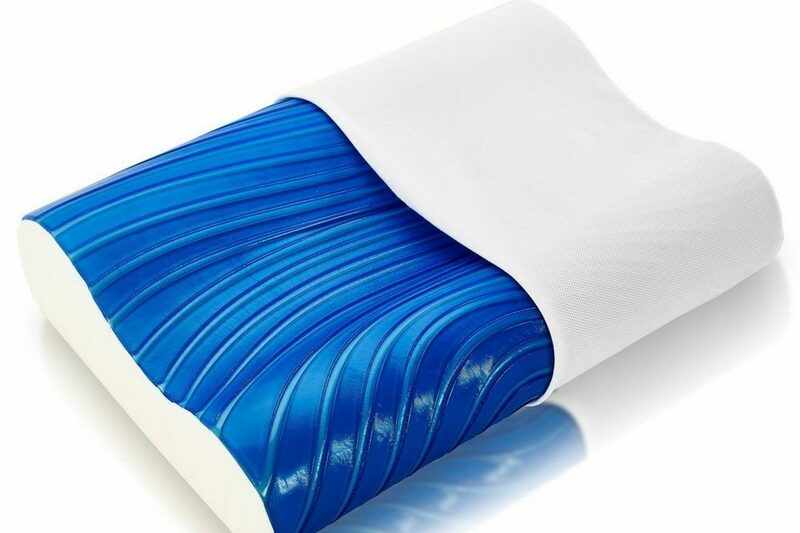 This gel-fibre filled contour pillow for side sleepers will help you sleep like a baby. These are hypoallergenic pillows which makes it a perfect such for the sensitive users and for those who suffer from respiratory issues. It is made of contouring memory foam which takes off the pressure from the upper part of your body letting you to rest comfortably. Since it has a gel fiber filling, there is no-shift construction. Polyester fibers are engineered in to help breath ability of the pillow through Cool Max technology which also absorbs and removes moisture from the skin. Molds to the contours of your body to help ease into the perfect for your body. The contour pillow also helps to alleviate neck pain. The manufacturer offers a fantastic set of features for a very affordable price. You can purchase a set of these pillows on Amazon for about $40. The cooling gel prevents the accumulation of body heat by thermal conductivity to disperse the heat out. Not any per se, except it is toward the firm side, but this helps to alleviate neck pain for those who use a contour pillow for side sleeping. This pillow is not soft if you are looking for a soft memory foam pillow. The ViscoSoft ARCTIC GEL CONTOUR Pillows are an excellent choice for side sleepers. If you don’t believe me go through the amazing reviews on Amazon. This pillow has secured 4/5 rating from 77% on Amazon, and 6% of 1 star reviews. The compact size and the wonderful fabric make this a travel companion also so that you can get a goodnight’s sleep even on your tours. This pillow is a cozy option for side sleepers. If you are on a budget but want a comfortable pillow, then this would be a good memory foam cooling pillow for you.